Did you know that a sharp ear doesn’t necessarily go with a sharp tongue? The book of James reminds me of this truth on staying iron sharp. Just because I may have a good ear doesn’t mean I must have a bad mouth and cut others with my words. Deep cuts take longer to heal. How sharp are you with your words? James 1: 19 ESV says, Know this my beloved brothers, let every person be quick to hear, slow to speak, slow to anger. Now that’s what I call living on pitch! 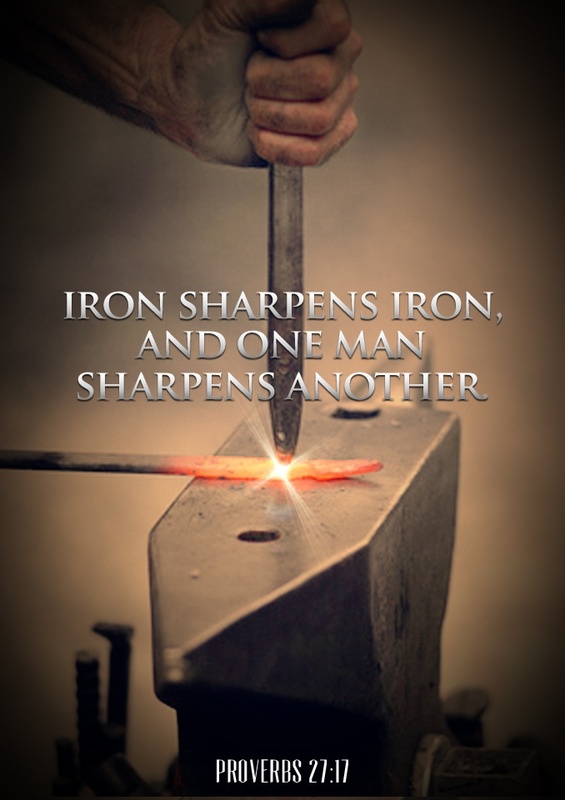 Keep sharpening that iron and build others up by speaking the truth in love.